Inflatable space modules are making their way to the cosmos. The colonization of space is about to take off—quite literally—with the recent announcement from the 32nd Space Symposium regarding an agreement between the United Launch Alliance (ULA) and Bigelow Aerospace. The deal calls for Bigelow Aerospace to deliver two of its remarkable B330 inflatable habitats to ULA for a projected launch to Low Earth Orbit (LEO) in 2020. It has been a big couple of days for Bigelow Aerospace: Their BEAM module was successfully launched to the International Space Station (ISS) just this past Friday, and this is after years of steady, quiet development of their inflatable habitats. Notably, with their low cost and efficient design, the habitats have the potential to really change our prospects in space, and may even make interplanetary travel easier. 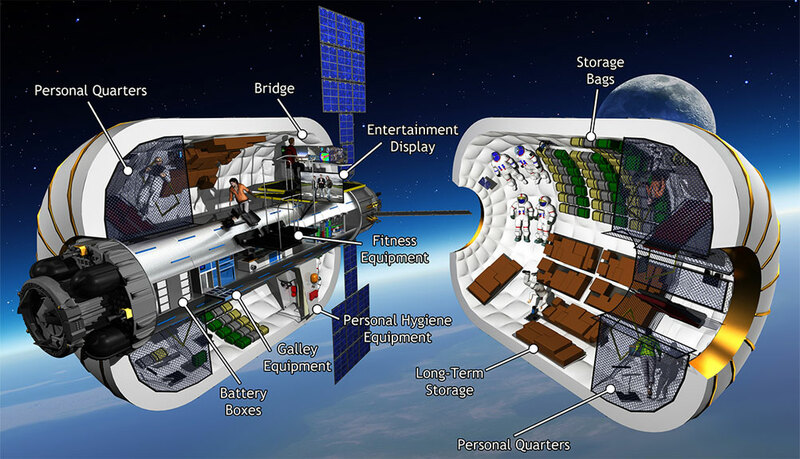 The B330 habitats, which were developed from NASA’s TransHab ideas, pack about 330 cu. meters (12,000 cu. ft.) of internal space, are 17.3 meters (57 ft.) long, and can accommodate about six individuals. And they’re certainly versatile: They can be used for LEO “hotels” (a là 2001: A Space Odyssey), single- or double-module research facilities, or can be combined together to form larger structures for LEO, lunar, or Martian space stations, or expand the habitable volume of manned interplanetary spacecraft. Details about the exact orbital positions and configurations of the two B330s (which carry the working name of XBASE—Expandable Bigelow Advanced Space Enhancement) are not yet forthcoming; a possibility, pending NASA approval, is to dock them with the ISS. This would expand the station’s volume by about 30%. If not, the habitats could be used in commercial ventures, as tourist destinations or lodgings, or as private research stations. 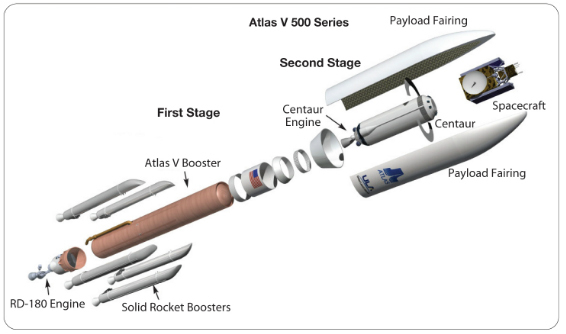 The two modules will be delivered to LEO by the ULA’s workhorse Atlas V rockets, in the “552” configuration—a 5-meter payload fairing, 5 solid rocket boosters, and two Centaur upper stage engines. It’ll be a big step up into space, no question; now it’s just a matter of waiting to see how commercial ventures and the organic evolution of space travel make use of the sudden increase in habitable volume Bigelow aims to provide. “We can’t begin to imagine the future potential of affordable real estate in space,” Bruno observed.